By endorsing only high-CBD cannabis, the new legislation will do more harm than good, says the go-to source for medical cannabis information. ...children with other diseases—especially cancer—need THC. New medical cannabis legislation has recently been introduced in Pennsylvania, Alabama and Utah. But unlike the twenty states(and Washington, DC) that allow medical cannabis use, this legislation is incredibly narrow in focus: It would only permit the use of one strain of cannabis known as Charlotte’s Web, recently renamed in some circles Alepsia. This particular strain is very low in THC (Tetrahydrocannabinol), the psychoactive compound of medicinal cannabis, and high in CBD (Cannabidiol), a compound shown to help with seizures in epileptic patients. 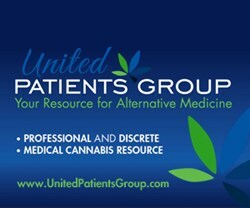 John Malanca, founder and owner of UnitedPatientsGroup.com, says that although it’s great to see increased support for this important strain, legislation that divides medical cannabis into the categories of “good” cannabis that doesn’t get people high and “bad” cannabis that does ignores the many proven medical benefits of THC and threatens patient choice. THC has been shown to damage and even kill cancer cells, and it also helps chemotherapy patients recover their appetite. The parents of Cash Hyde, a toddler with brain cancer, were amazed by the life-saving effect of cannabis oil on their little boy. He eventually succumbed to the cancer when they lost access to this lifesaving medicine. They founded the Cash Hyde Foundation to honor his life and spread the word about the incredible benefits of medical cannabis for juvenile cancer. "The new cannabis legislation will not allow the kind of cannabis that helped Cash Hyde; its definition of “good” medical cannabis is too narrow." noted Cash's dad, Mike Hyde. For more information about this issue, visit http://www.unitedpatientsgroup.com/blog/2014/02/04/by-endorsing-high-cbd-cannabis-new-legislation-will-do-more-harm-than-good/ or call (415) 524-8099. For updates on the unfolding legislation, follow United Patients Group on Twitter.